For those of you who have been following the brilliant blogs by public relations expert and author of Everyday Public Relations for Lawyers, Gina Rubel, you will know that social media is a huge asset to attorneys. Following her great advice, I thought you might enjoy some productivity tips on how to use these tools. This week we will focus on one of my favourites, LinkedIn. It is predominately a professional site that is used primarily for business connections unlike other sites that are more informal including Facebook and YouTube.com. 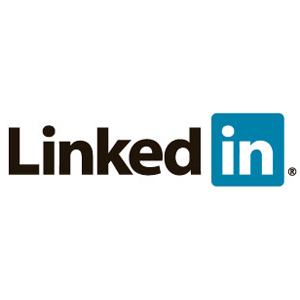 If you want to increase your network, boost your productivity and develop your book of business you can achieve this by getting familiar with LinkedIn (LI) and using this in your everyday interactions with colleagues and clients. 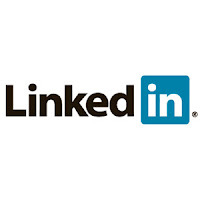 Set it up – if you are not already on LI, log onto www.linkedin.com and create a free account. Take the time to create a profile for others to view then you are all set up. This is like your online resume. Spend 15 minutes per day – when you initially set up your account, dedicate 15 minutes per day for 2 weeks to get your profile established, learn the different functionality of the site and invite others to be connected to you. Expand your network – you can easily build an online ‘rolodex’ by inviting people you want to be connected to can help increase your network. This invitation is emailed to them and they can accept your request. Use Outlook – LI has the ability to search your outlook contacts against those people in LI, use this facility to quickly build your connections. Reach out – LI is a fantastic tool to reach out to previous firms or business connections you have enjoyed working with. Use the search facility – if you want to find out if someone is already a user simply use the search function on your home page, type in their name and the system will advise you if they are linked. If so, you can send them an invitation to join your network. Ask others to introduce you – LI gives you the ability to see your connection’s network so if there is someone you have wanted to meet, you can ask your direct connection to make an introduction for you. Connect others – Many people frequently ask me to make introductions to people in my network and I am happy to make a ‘warm’ introduction for them. LI is an easy way to do this. Break the ice – LI is an easy way to find out information about someone before you contact them and also gives you conversation topics when you do connect. You might notice they serve on a Board you are interested in or studied at a school you also attended. You can find common ground in some profiles. Showcase your connections – LI shows the people and companies you are associated with and helps other see who you have done business with. Review history – LI is an informative research tool if you want to investigate someone’s history of work or college related activities. i.e. Alumni or Boards of Directors they serve on. Announce news – provide information of case wins, publish press releases and share your good news with your network using LI. Up to date – most people are more likely to keep their LI profile up to date when they change roles or firms (however they may not send you their new email or company information) – LI is up often more up to date. Research tool – use LI to pose a question to selected people in your network for research. I use this frequently and people take the time to respond as it appears as an email in their inbox and allows them to provide a quick response. Dinner dates – if you are going to be in a city on business you can notify people in your network and reconnect with them for a coffee or meal. Increased web presence – although you and your firm may already have a website, LI provides another opportunity for people to access information about you and also increases your search in Google. Invest – LI allows you to grow your connections before you need them. If you find yourself looking for a new opportunity or client; having an established network allows you to reach out to them when you need it. Introduce yourself – occasionally you may see someone you have wanted to connect with that is connected to someone in your network. You might like to reach out to that person directly via LI and ask them to be connected to you. LinkedIn is a great business tool. It requires an investment of your time to establish it and maintain it but once you begin using it you will find it can greatly increase your opportunities for connections, new business and building stronger relationships – so log on now!